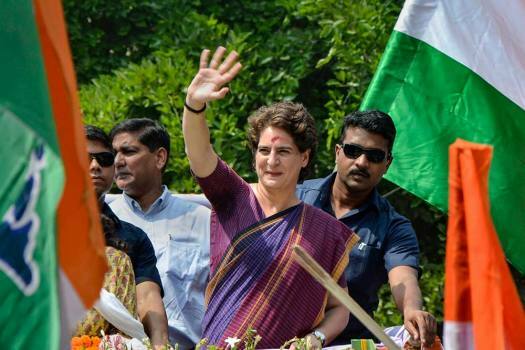 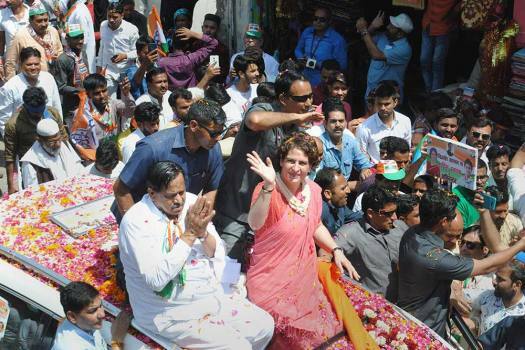 Congress general secretary Priyanka Gandhi Vadra during an election campaign road show in Bijnor. 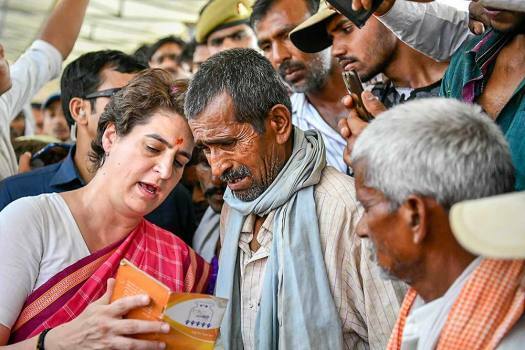 Congress general secretary Priyanka Gandhi Vadra listens to the grievances of an elderly person at Deomai, Fatehpur in Uttar Pradesh. 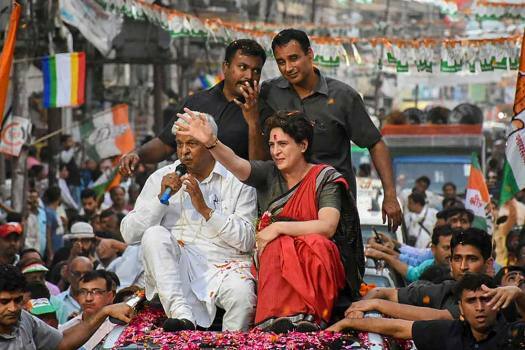 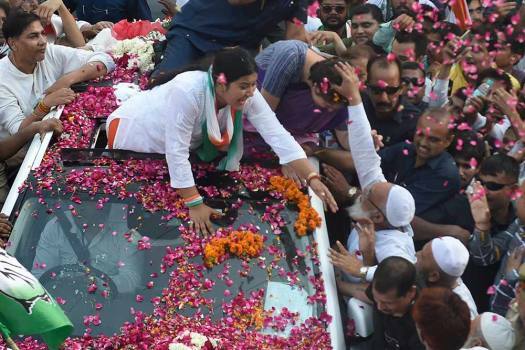 Congress General Secretary Priyanka Vadra being blessed by a muslim during a roadshow, ahead of the Lok Sabha polls, in Ghaziabad. 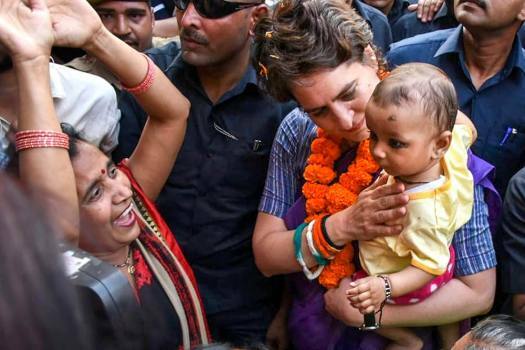 Priyanka Vadra holds a baby during a roadshow, ahead of the Lok Sabha polls, in Ghaziabad. 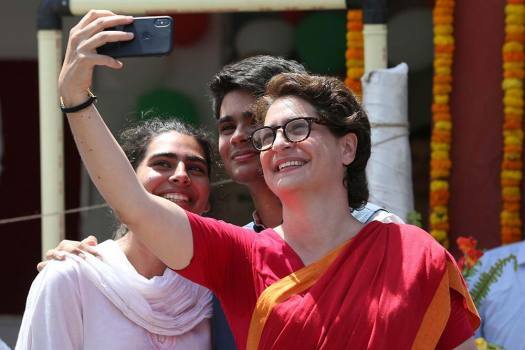 Congress Party General Secretary Priyanka Gandhi Vadra clicks a selfie with her party supporters during a roadshow, ahead of the Lok Sabha polls, in Ghaziabad. 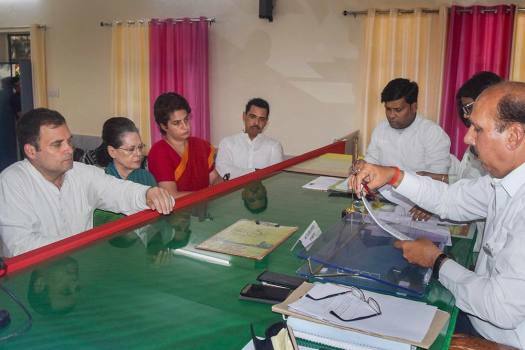 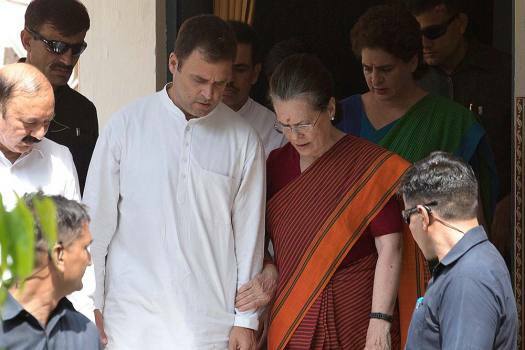 Rahul Gandhi's mother Sonia Gandhi, sister Priyanka Gandhi Vadra and brother-in-law Robert Vadra were with him in the Collectorate when he filed his papers. 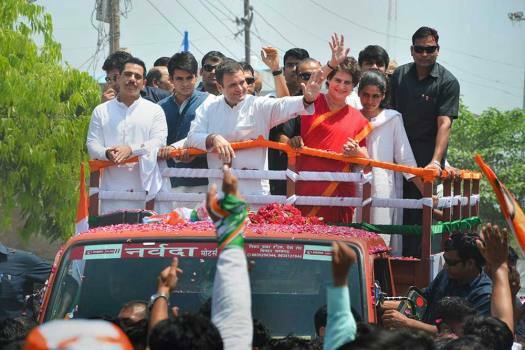 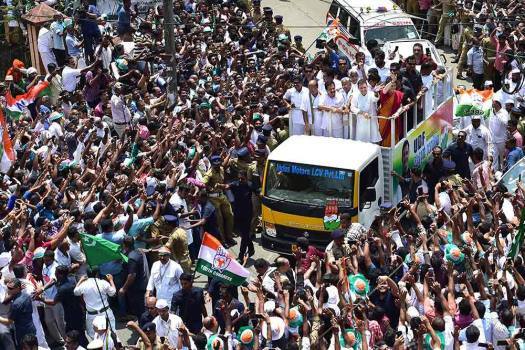 Party sources on Thursday said the filing of nomination papers will be a big show of strength and the top Congress leadership will be present. 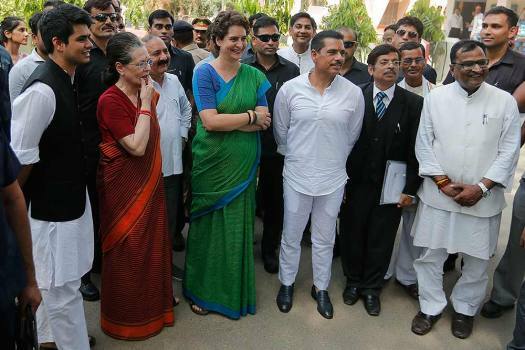 What Was Piggy Chops Doing With Robdbob at AIIMS? I'm very happy living my life the way I am. 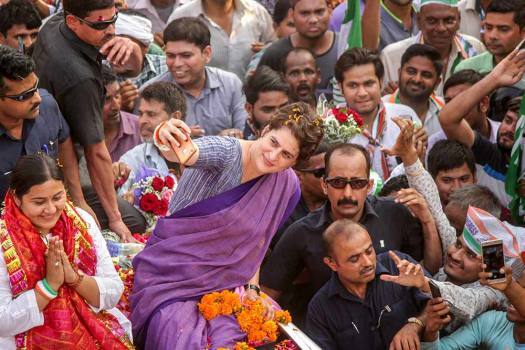 I think there are certain aspects of politics which I'm just not suited to ... there was a time when I was a kid, when I was about 16-17 where I thought this is absolutely what I want to do with my life ...but I think I wasn't very clear about my own identity ... 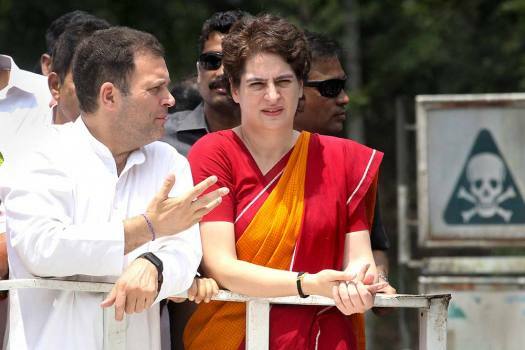 In 1999. 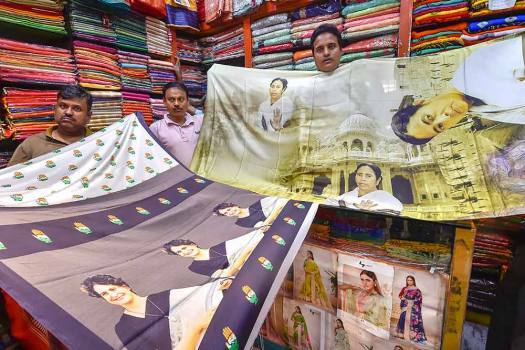 Because in that election it was a question in my mind, whether I would want to stand for elections or not. 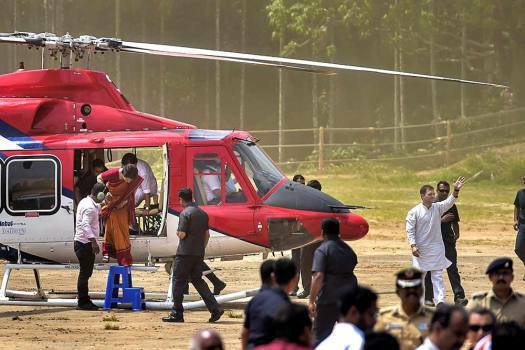 So I did some thinking, and I realised that I didn't ... Actually I went for Vipasana meditation. 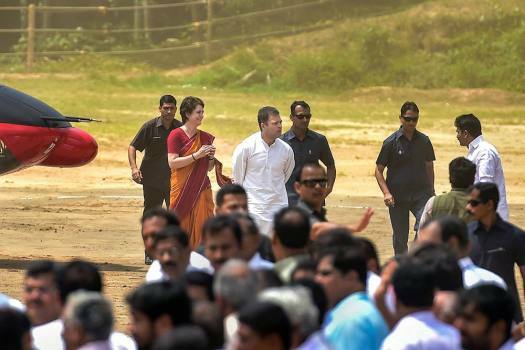 I was so troubled by the fact that I didn't know my mind, so I just disappeared and went for 10 days of meditation, so that I better know what my own mind is, rather than what other people want of me. 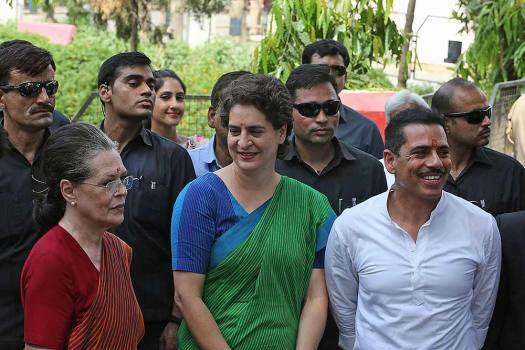 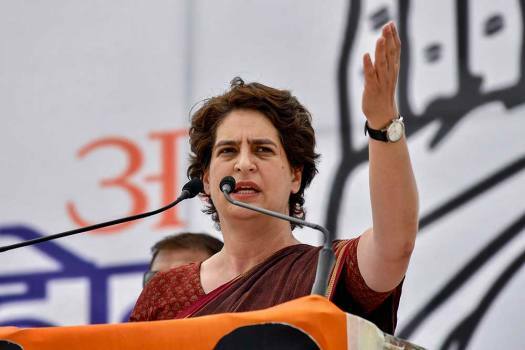 She was responding to a query to Robert Vadra asking whether a portion of the money he had received from the DLF was used by his wife to buy properties in Faridabad in Haryana. 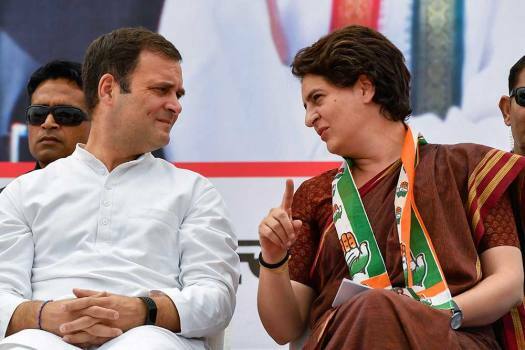 Taking a dig at Rahul over Congress' poor performance in the crucial state polls, Irani said only blaming the AICC vice president "will be an injustice to him".